← FNL- Hate to do it, but it’s like an insight into my soul! This past weekend I had the initial creative meeting with a talented young woman from Clark University who will be doing a documentary on CarFreeBrad over the next month or so. It was really great to sit and talk about the experiment and get live feedback from someone. The best part was thinking about how to best document the essence of CarFreeBrad. To be honest, I’m leaving that up to her because I don’t even know what the essence of CarFreeBrad is or should be. This blog was started on the idea of being as honest as possible and avoid editorializing as much as possible. I don’t know if I end up coming off good or bad and I think that will hold true for this documentary. I just hope I don’t look like too much of an a$$hole. So that got started this weekend and today I’m taping a radio interview at WICN’s “The Business Beat” about my newest business Freight Farms(www.unitedhydroponics.com). I’m so excited I can’t contain myself. Not so much for the media exposure although that is really cool but more because I get to talk about the two things in my life that I’m so passionate about. You probably can’t tell from my 3rd person references and daily personal blogging but I don’t really like to talk about myself. In stark contrast, I will talk about CarFree issues and Freight Farms for hours, day even weeks if someone lets me. So much so that I have to remind myself that these things are not as interesting to most other people. Regardless, the documentary and radio interview allow me to talk about these two projects in the manner that makes me most happy, that of a proud parent doting on his children. 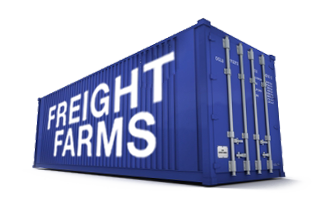 It looks like I may have more opportunities to rain praise on my babies when we launch a new Freight Farms initiative in the next few weeks. This launch has me giddy like a school boy and will change the local food economy forever! This entry was posted in Bike commute, Car Free, Urban Bike and tagged Bicycle sharing system, Bike-Friendly, CarFree, CarFree Movement, CarFreeBrad, Clark University, Media, Radio, Talk radio, WICN, Worcester, Worcester Magazine. Bookmark the permalink. 1 Response to CarFreeBrad Media Blitz!